Learn how Openbravo makes it easy to integrate its modern retail solution with your existing ERP. This presentation explains how the modular architecture of Openbravo’s technology platform makes it easy to integrate with third-party IT systems, including Tier-1 corporate ERP systems. Integration has always been a strong point of Openbravo software and we know it is a key requirement of our larger retail clients with complex IT environments, often based on legacy technologies. They may have made substantial investments in ERP software in the past and today are looking for a new store-level solution that offers the latest retail functionalities and can easily integrate with their head office software. 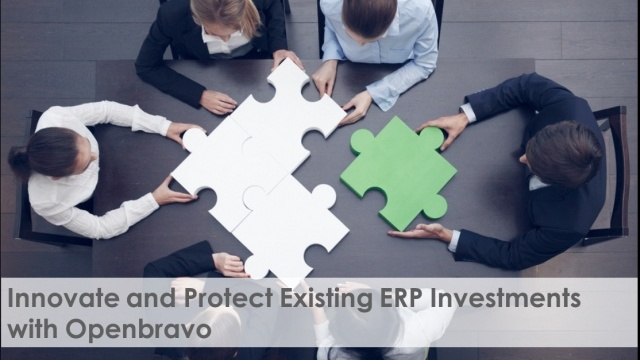 Openbravo is responding to this market demand with a specific ERP integration strategy that includes development and certification of connectors with selected ERP systems. This presentation and accompanying webinar describe the model designed to support various ERP systems and integration scenarios and how it can help to significantly reduce the implementation time and ensure protection of existing ERP investments. If you wish to watch the full webinar which accompanies this presentation, please visit http://www.openbravo.com/resources/webinars/?commid=263521.